In the lead-up to the NSW state election, Premier Mike Baird has proposed a statewide domestic violence register to record the names of people who have previously been convicted of domestic violence offences. The Premier made the announcement at the 2015 International Women’s Day Breakfast which was held in Sydney on Friday. Although domestic violence is committed by both sexes, statistics indicate that women are far more likely to suffer abuse at the hands of a partner, with an estimated 1 in 3 women experiencing some form of domestic violence from the age of 15. It is also estimated that one woman dies at the hands of her current or former partner in Australia every week. Those figures are part of a much larger picture, with more than 27,000 reports of domestic violence to police in NSW last year, with at least that many more remaining unreported. But is a domestic violence register a step in the right direction? What Would a Domestic Violence Register Involve? Although still being debated, the register would likely give people the right to ask police about their partner’s past if they have a reasonable concern that their partner may pose a risk to them. Agencies would then be compelled to provide information about any domestic violence convictions. Information might also be made available to third parties who have a reasonable belief that a friend or family member was at risk. The register would be modelled on a scheme that has already been implemented in the United Kingdom. As outlined in a previous post, the UK’s Domestic Abuse Disclosure Scheme, commonly known as ‘Clare’s law,’ gives people who are concerned about their partner’s past the right to ask police about whether they have a history of violence. Where police believe that a person is in danger, they must disclose any previous convictions for violence and offer support, including the possibility of re-housing. However, the scheme also requires police to disclose unproven allegations of abuse; in other words, those that did not result in a finding of guilt. The scheme is named after Clare Wood, who was strangled and set alight by her former partner George Appleton in 2009, before he hung himself. Mr Appleton had a violent past and had previously been convicted of harassing and threatening women. He had also kidnapped an ex-girlfriend at knifepoint. Following her death, Clare’s father Michael Brown campaigned extensively for legal reform to make it easier for people to access information about their partner’s past. The Domestic Abuse Disclosure Scheme is the result of those efforts. 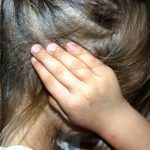 What are the Problems with a Domestic Violence Register? While the idea of a Domestic Violence Register has been championed by the Coalition government as an important step towards reducing instances of domestic violence, the scheme has been heavily criticised by the Labor party. Labor’s deputy leader Linda Burney believes that the register will be ineffective unless incorporated into a broader nationwide scheme. The Premier’s announcement has also reignited much of the debate surrounding the UK scheme, which was denounced as being ineffective and a waste of money by ‘Refuge’, a leading domestic violence support and advocacy group based in the UK. Refuge warned that the exorbitant cost of establishing and maintaining the register outweighed the benefits, especially given that most cases of domestic violence go unreported. It found that where a partner was presented as having no reported history of violence, women were often lulled into a false sense of security. A spokesperson for the organisation also cautioned that those who are most vulnerable are unlikely to take advantage of the scheme, and are the most likely to ignore any disclosure of a partner’s violent history. Domestic violence groups have also criticised police for failing to carry out their duties to protect people at risk of domestic violence, and have suggested that without greater police involvement, the numbers of domestic violence cases will continue to rise. Inquests into the deaths of numerous domestic violence victims have repeatedly highlighted cases where police simply failed to take adequate action. Civil libertarians have also spoken out against the proposals, suggesting that it may erode privacy rights, giving people access to personal information with little justification. In particular, critics of the UK scheme have highlighted the fact that unproven allegations of abuse must still be disclosed. There have also been concerns about the fact that disclosure of past behaviour may impede a person’s prospects of rehabilitation; making it more difficult for people to put the past behind them and take steps to reform. 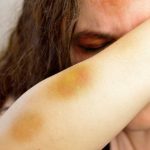 Domestic violence groups have warned that these problems show that the government does not fully understand the underlying reasons behind domestic violence. Rather, they suggest that the Premier has jumped upon the idea in a bid to appear tough on crime in the lead up to the election, without proper consultation or consideration. The Opposition has also slammed the government for making the proposal in the wake of controversial law reforms which resulted in the closure of tens of women’s refuges since last year. Under the government’s funding reforms, specialist shelters providing support to sufferers of family violence will be absorbed by larger, generalist shelters which do not offer specialist services. Yet despite this, the government seems intent on funnelling money into the proposed register. Should inmates have any access to the internet? Should Sniffer Dogs be Banned?